Earlier this week we heard that Gears of War: Ultimate Edition would be one of the first games to launch on PC with DirectX 12 support. However it's not the only game coming to PC in the near future to support the API: Deus Ex: Mankind Divided, another hotly anticipated title, will also support DirectX 12 at launch. Mankind Divided is the first game to use the Dawn Engine, Eidos Montreal's new game engine that's been built to fully support the power of PCs and current-generation consoles. The Dawn Engine provides excellent graphical fidelity, next-generation lighting, and of course, DirectX 12 support for PCs running Windows 10. While it has already been revealed that Mankind Divided would support DirectX 12 at some point, AMD's Richard Huddy confirmed in an interview with TweakTown that DirectX 12 support will be available from day one. There will also be an in-game benchmark available that will be great for testing the performance differences between DX11 and DX12. 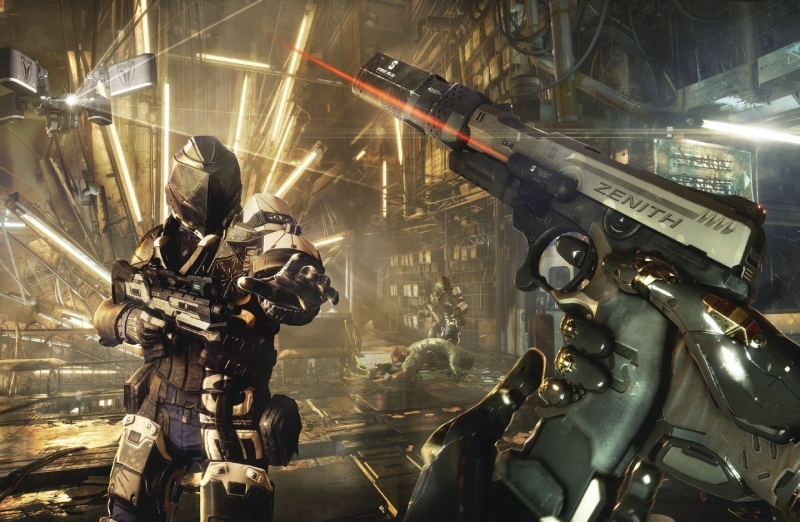 Mankind Divided will be an "AMD title" and as such will fall under the company's Gaming Evolved program. The game will include some AMD effects such as TressFX Hair 3.0, although Nvidia users shouldn't worry too much as these effects tend to work well on both AMD and Nvidia hardware. Deus Ex: Mankind Divided will launch on PC, Xbox One and PS4 on February 23, 2016 as a sequel to 2011's well-received Deus Ex: Human Revolution. It's set to be one of the bigger launches in the first half of next year, and knowing the game will support DirectX 12 at launch, PC gamers will definitely want to check it out.